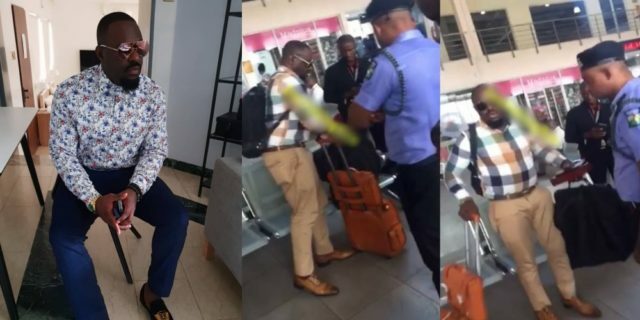 Nollywood actor, Jim Iyke, was yesterday afternoon arrested by the policemen attached to the Lagos airport, after he slapped a staff of Dana Air. It was gathered that the actor had missed his flight to Abuja, after arriving the airport late and he got angry. However, when a security staff of the airline was trying to profile him (search him), Iyke gave him a slap.